An Enterprise Resource Planning Software is undoubtedly a powerful tool especially when the manufacturing industry is concerned. The manufacturing industry is a platform where multiple operations and functions run at a time. Right from procurement to the conversation of raw materials to finished goods, the manufacturing industry has an ample number of operations to accomplish. The manufacturing industry functions get complex as the company grows in size. For example: For those companies which handle a huge quantity of products, the industry is bound to take care of raw materials availabilities for these different products, their operational strategies, tracking every order, their quality productions, on-time deliveries etc. It turns out to be cumbersome if there is no efficient and robust software to take care of these ample number of operations. An ERP comes as a wizard tool for managing the manufacturing processes without any hurdle and strain. This blog discusses the essentialities of an Enterprise Resource Planning Software in a Steel Industry. Steel Industry manufacturers are no exception from other manufacturers like food, chemical or retail. The steel manufacturing industry must also undergo several complex proceedings and processes to deliver the final output. Often the unavailability of raw materials and power coupled with rising costs, put the steel manufacturers in pressure and high competition to survive in the competitive market retaining their long and successful run. Both small and medium manufacturing industries find it vital to have a 360-degree view of their business operations on a continual basis. The competition among steel industries witnessed a significant rise in the past period. We can see that there is a terrific rise in the number of steel manufacturers in the past few years on account of increasing demand for steel and surging infrastructure projects. With the rise in demand of steel and inadequacy of supporting software to carry forward the manufacturing process, the steel manufacturing industry goes through several strenuous situations especially the skyrocketing maintenance and operational costs. An effective ERP Solution comes as a protective shield for steel manufactures to streamline their business operations, maximizing their productivity, reducing their wastage of resources and earning better returns. Here are the benefits a steel manufacturing industry can derive out of an ERP implementation. First and foremost benefit of an ERP implementation in Steel manufacturing industry is the Company-wide Integration. This is a prominent feature of ERP Solution. It enables the industries like steel manufacturing industries to streamline their every critical manufacturing operations ranging from procurement to handling of raw materials, followed by their manufacturing and shipment of these manufacturing orders. With the implementation of Odoo ERP, the supply chain management in the steel manufacturing industry becomes seamless and hassle-free. It helps the steel manufacturing industry to forecast and measure the adequate amount of supply chain required for production purpose. Odoo ERP helps in synchronizing the demand cycle via facilitating with real-time inventory information. 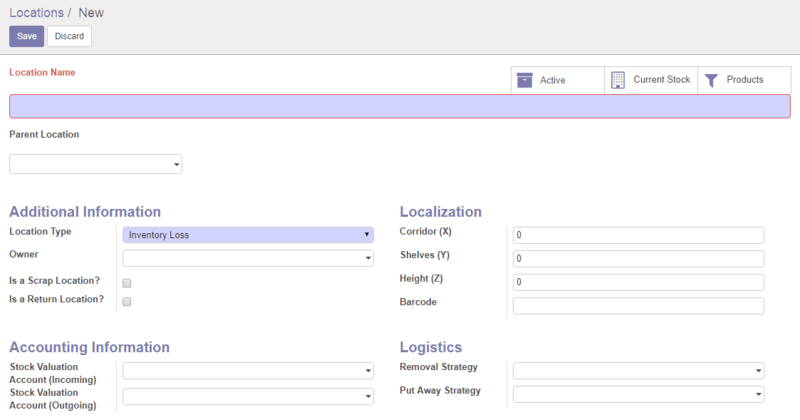 Here in Odoo ERP, after the creation of Bill of Materials, the manufacturers can seamlessly check the availability of raw materials within the inventory. After assuring raw material availability and confirmation of manufacturing orders, the steel manufacturing industry company can start their production process. Thus enterprise resource planning software such as Odoo ERP helps in feasible operations forecasting the adequate or enough supplies that are required to meet the manufacturing orders and customer demand. Odoo ERP also provides visibility of every ongoing manufacturing order ensuring transparency and reliability in operations. Odoo ERP comes as a wizard tool for manufacturing industry with better controlling and monitoring of goods and their supply. Secondly, an ERP for steel manufacturing industry comes with multiple planning strategies which help in addressing the production process smartly and effectively. The steel manufacturing industry has to go through multiple planning strategies to efficiently utilize their resources. 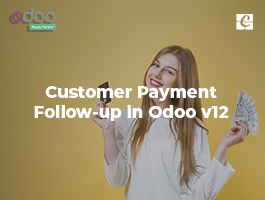 Odoo ERP comes with better controlling of inventories, efficient demand forecasting, smart production scheduling and on-time delivery of goods. Odoo ERP encompasses the feature called master production schedule (MPS) that helps a steel manufacturing industry for smartly indulging in the production process. The Master Production Schedule helps the steel manufacturers to translate every customer demand to a plan of action, facilitating a complete platform for production process through the allocation of resources such as raw materials, machinery, and others on time. 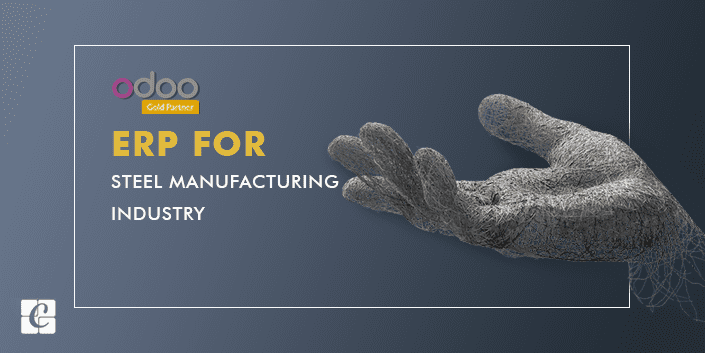 An ERP like Odoo thus helps the manufacturing industry restrain additional expenses coming out of resource wastages and also last minute scheduling. It helps in forecasting any range of BOM via keeping track of stock availability and production time. 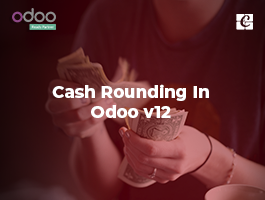 Odoo helps in setting the time frames like Monthly, Weekly or Daily demand forecast for starting the production. Therefore an ERP for steel industry reduces the time frame required for its production and sales cycle to a substantial period. Thirdly, an odoo ERP implementation envisions with a 360-degree view of manufacturing processes. Right from procurement, making of manufacturing orders, their quality checking, maintenance and tracking to the delivery of products, everything is streamlined and recorded in an ERP. The ERP gives the manufacturing industry a 360-degree view of every critical moves and data. Odoo ERP comes with advanced features like double-entry inventory, total traceability of productions, Drop-shipping, Cross-docking, Multi-warehouse management, Routing or Product shipping management giving an all-inclusive picture of every inventory moves in the manufacturing department. These features help the manufacturing industry like steel manufacturers to track, monitor and control their production processes. You can refer our blog: Odoo warehouse management and routing for knowing the complete routing management offered by Odoo ERP. We can count accurate business forecasting as the fourth benefit of ERP implementation in the steel manufacturing industry. In order to meet the rising steel demands for various sectors such as automotive, heavy equipment, construction sectors, and many others, it is very important that the steel company indulge in researching and tracking the latest market trends and pertinent raw material pricing. This tracing comes handy with accurate business forecasting software like an ERP which comes with integrated business management modules. 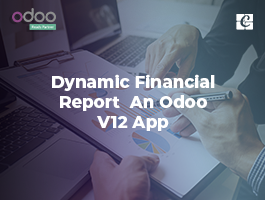 Odoo ERP comes of great use for market trend analysis, business integration and accurate forecasting of the processes. 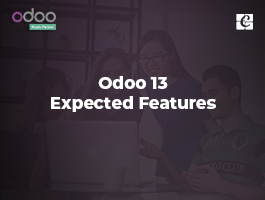 Accurate forecasting in Odoo is done via requirement scheduler, which works as calculation engine planning and prioritizing the production and purchasing automatically according to the rules defined on products. 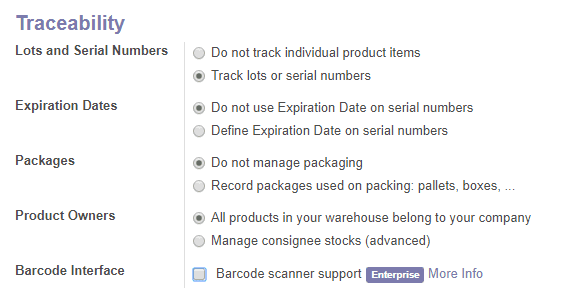 Odoo’s procurement rule comes with an advantage of no excess inventory to be stored. This helps in reducing the inventory levels, the cost of carrying and storing of goods keeping the inventory levels to a minimum. 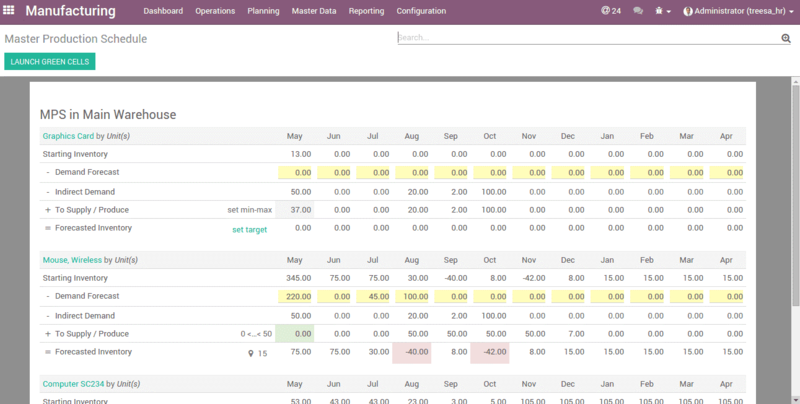 Secondly, the push rule in Odoo helps again with forecasting the inventory needs required for meeting the client demand. This rule helps the manufacturing industries like the steel manufacturers to confidently assure enough product on hand for meeting the customer demand without any lapse. Here the product quantity is moved to the desired location on the basis of clearly defined parameters such as destination, location or movement type, creating no room for confusion and errors. 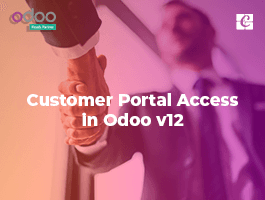 As Odoo comes with integrated modules, making it highly feasible for latest market trend study and future analysis. The steel manufacturing can avail tons of marketing and sales benefits via Odoo ERP implementation and integration of various Odoo supporting modules. These modules can help the manufacturing industries to drill down easily their sales reviews, analyze their progressions in various forms such as graphical representations and others. A consolidated trend analysis will be availed to the steel manufacturers to smartly act, indulge in predictive modeling of requirements and thus making their firm position in the market. As Steel manufacturing industry involves in batch processing, continuous processing or a combination of both. For both cases, an ERP comes as a wizard tool for variable production process support as it helps in Batch picking via analyzing the order requirements, characteristic and shipment plans. An ERP software helps the steel manufacturers and other industry manufacturers via efficiently supporting such variations in the production processes through automatic batch picking based on order, raw material and also the production schedule based on shipment. The efficient planning done by the ERP helps in reducing the total time required for the production. The maintenance features such as corrective maintenance provided in Odoo ERP helps to timely restore the faulty machinery, saving ample amount of time. With preventive maintenance feature, the manufacturing industry can control the occurrence of future faults, saving the idle amount of time. With Odoo ERP implementation of steel manufacturing industries can easily organize their maintenance requests, track their request progressions and plan their activities as per the Kanban and calendar views provided by Odoo. Every industry, be it the manufacturing or trading, the degree of courtesy extended towards their customer underlines the business success. The real-time delivery of goods, that too the qualitative deliverables plays a significant role in making the customer satisfied and happy. With the Implementation of ERP, the manufacturing industries can efficiently check the quality of products delivered. With Odoo ERP implementation the manufacturing industries can avail to functions such as quality alerts and quality checks. These trigger for a random or periodic check test on the products produced, upholding the product quality/standard supreme. In short, for a manufacturing industry like steel, ERP Implementation has a lot to provide with. Here is a quick snapshot of the benefits again. > An eye on product quality with configurable quality parameters. > Track quality features across all manufacturing processes. > Minimize the business expenses but triggers better results. > Curb the wastage of resources such as raw materials. > Cost effective operations- materials, tools or machines. > Configurable manufacturing planning processes. > Deployment of stock reservation processes. > Maintenance procedures and plans for company assets. > Analytical inputs forecasting failures. > Integrated view of all business operations. > Cash flow forecast of the revenue and expenditure.